Do you feel that you pay too much for utilities? No one likes to pay bills, and it is disheartening to see so much of your hard-earned money go down the drain in energy costs. But there’s nothing you can do about it, right? Wrong. 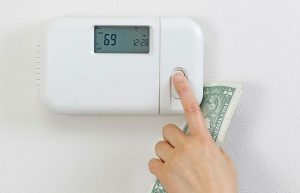 You can take measures that will make a real difference in your monthly energy bill. And some of those measures apply to HVAC (heating, ventilation, and air conditioning) maintenance and repair. If you are not already having professionals perform a yearly tune-up on your air conditioner, you can lower your energy bills with regular AC maintenance in Greensboro. Has it been a while since your AC has been tuned up? Air conditioners need regular maintenance to run smoothly. Your cooling system needs to be inspected, cleaned, and repaired every year before the weather gets brutally hot. An inspection allows the technician to spot potential problem areas or worn out parts so that they can be repaired or parts can be replaced if needed. Cleaning removes dirt and dust build-up that causes the air conditioner to work harder or struggle to cool your home. When your AC is clean and all of the parts are lubricated and moving well, your system can do its job using less energy. This can prevent a costly AC repair in Greensboro down the road. You can take AC maintenance in Greensboro one step farther with ductwork inspection and sealing. If the ductwork accompanying your HVAC system has leaks, the cool air could be seeping out and hot air could be seeping in, which is precisely what you don’t want in the hot months of the year. And the opposite could be happening during the cold months, meaning you are wasting energy and money. A professional HVAC company can inspect and seal your ducts to make sure your home will be as comfortable as possible using the least amount of energy. They can also perform any on-the-spot AC repairs in Greensboro. Air conditioning maintenance in Greensboro can help you save some energy, but if your air conditioner is more than 8 years old, you could save a lot more by replacing your old system with a new one. New air conditioners are much more efficient due to advancements in technology. If your system is getting older and starting to need repairs more often, or even if it isn’t having any problems at all, you can still lower your energy bill by having a new high-efficiency air conditioner installed. You can trim down your energy bill with maintenance, replacement, or air conditioning repair in Greensboro. Berico offers affordable maintenance plans that can keep your AC running efficiently each season. If you are in need of a new air conditioner, our technicians can replace your current system with a new high-efficiency air conditioning unit that will significantly reduce your household energy usage. Call us today at (336) 496-2509 to schedule AC maintenance in Greensboro or to get a replacement quote.